Taunton music festival SheppyFest have announced the headline act for this years event. The event, held at Sheppy’s Cider Farm in Taunton, will be back in September and will once again be proudly hosted by Apple FM presenters. 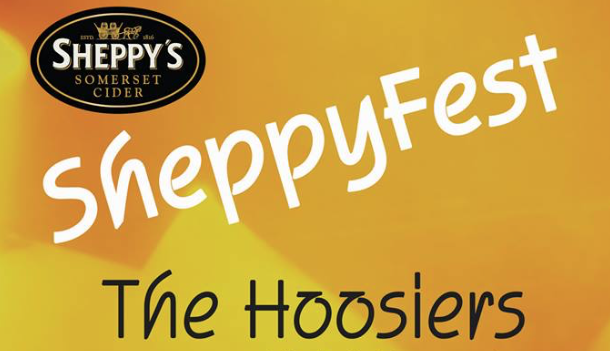 The headline act has been announced as The Hoosiers who will top the bill on 2nd September. The band are an English-American pop rock band formed in Indianapolis, Indiana in 2003 and relocated in Bracknell, Berkshire. Their first single “Worried About Ray” reached number 5 on the UK Singles Chart in July 2007. This was followed by a number 4 chart hit called “Goodbye Mr A.” In October 2007, they released their debut album The Trick to Life, which reached number 1 in the UK album chart. 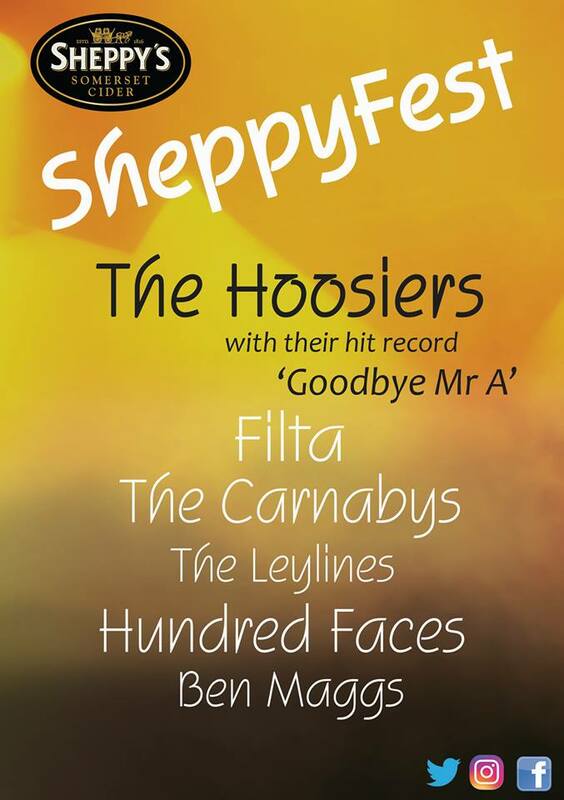 The band join the other previously announced performers at SheppyFest who are local band Filta, The Carnabys, The Leylines, Hundred Faces and Ben Maggs. Tickets for the event will be available soon. Further details about the event can be found here. Take a look at a few of Apple FMs video clips from last years SheppyFest below.